Over the weekend, I read this federal court opinion, which addresses this very situation. The plaintiff-employee took job-protected leave under the FMLA. However, he did not return to work on his scheduled return date. The FMLA requires an employer to reinstate an employee to his prior position (or an equivalent position) upon return from leave. However, in this case, the defendant-employer argued that reinstatement is conditioned upon an employee returning to work immediately after the 12 week period—anything else would infringe upon the employer. Therefore, because the plaintiff could not return from leave right away, he had no right to reinstatement to his prior position. [The FMLA] does not say that the employer can fire an employee or that the employee’s rights to reinstatement have lapsed or ended, but simply that the employer can delay reinstatement….It appears then that an employee’s rights under the FMLA do not cease to exist simply because the employee did not return to work immediately upon the expiration of the 12 weeks…. 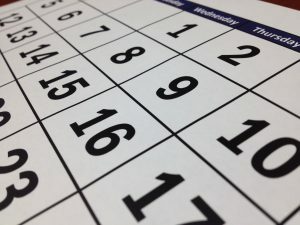 [T]here is nothing indicating that the day after leave expires is the sole date upon which a person can return without forfeiting his or her rights…. [W]hile it is logical to assume that in order to avoid any downtime the employee should provide the [fitness for duty] form immediately after the 12 weeks, the regulations are silent when it comes to timing….By allowing a delay for an employee to get paperwork, the regulations suggest that there is not a strict timing requirement. Here, the facts showed that the parties were working together in good faith to square away issues associated with the fitness-for-duty certificate and the plaintiff’s return to work. Additionally, the defendant extended the plaintiff’s leave with paid time off. Under these circumstances, it would have been unfair and inconsistent with the spirit of the FMLA to force him to come back on the day after his FMLA ended. An employer may seek fitness-for-duty certification only with regard to the particular health condition that caused the employee’s need for FMLA leave. The certification from the employee’s health care provider must certify that the employee is able to resume work. The employer must provide notice of the requirement to provide a fitness-for-duty certification with the designation notice. If the employer has provided a list of the essential functions of the employee’s job by no later than with the designation notice, an employer also may require that the certification address those essential functions. This certification requirement does not mean that an employee has to return from FMLA 100% healthy. Indeed, if you insist on that, you’re begging for a claim under the Americans with Disabilities Act. Instead, the employee must be able to return to work to perform the essential functions of the job with or without accommodation. Thus, if the employee needs a reasonable accommodation, be prepared to discuss that in a good-faith interactive dialogue, much like you would an accommodation situation under the ADA.